Manchester City put on a stunning second-half display to win the Capital One Cup at Wembley this afternoon against Sunderland, a performance capable of winning any game. City was on the back foot for the first half, as Sunderland put on high-tempo performance chasing everything down. The Black Cats were beating City to every ball and crunching tackle, they took lead after on-loan Liverpool striker Fabio Borini broke away on the counter-attack finishing a lovely through ball. They managed to keep the high energy performance going until half-time. However, in the second-half City stepped up another gear and proved why they are title contenders; they over-powered their opponents with two stunning strikes coming from Yaya Toure and Samir Nasri to tilt the game in City’s favour. The game was all over when substitute Jesus Navas netted the third to seal Manuel Pellergrini’s first silverware for the club, Captain Vincent Kompany was quick to praise the teams second-half performance after the game. “I thought it was a good performance in the second half, we were the better team in the second half,” he said. 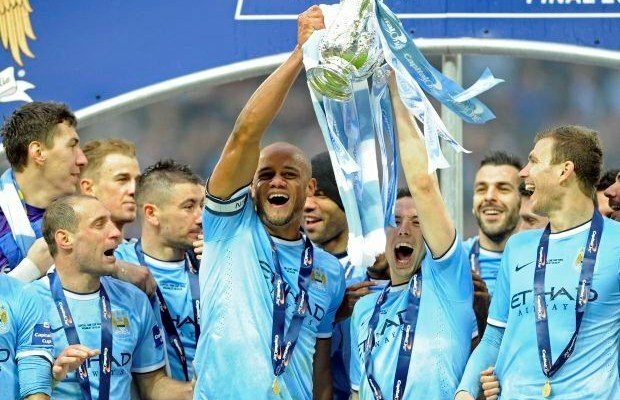 City lost the FA Cup final to Wigan last season and they wanted to be on winning side at Wembley this time, Kompany spoke of his delight at erasing that painful memory. “It’s the best stadium for me,” he said. Although City could be in contention for three other trophies this season, Kompany wants to take one step at a time and enjoy the moment. He said: “We never take anything for granted and we will enjoy every moment. Alan Pardew Headbutt: A Step To Far?